Cheetah stun guns is made by a US company that manufacture their stunguns in China in their own factory to make sure they provide the highest quality stun guns in the market. Compared to the Generic stun guns sold on ebay these stun guns have a quality unmatched by any of the competitors in the open market. Cheetah Stun is a self defense device which disrupts the message the brain sends to the voluntary muscles. Simply touching an attacker with a stun gun for 1-2 seconds will deliver a high voltage shock causing loss of balance and muscle control, confusion, and disorientation bringing him to his knees and making him incapable of further aggressive activity. Full recovery takes about five to ten minutes and there is no permanent harm. This Cheetah stun gun is a triple threat when it comes to personal protection and self defense. 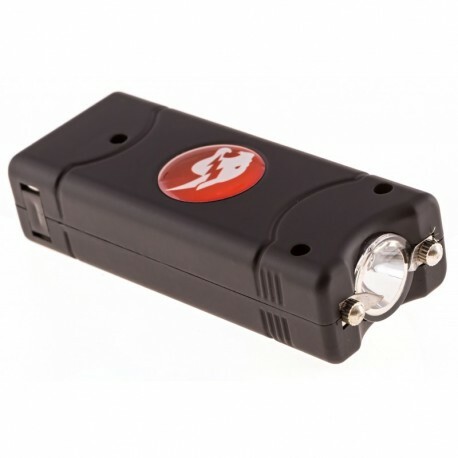 Cheetah 10 Million Volts Rechargeable Stun Gun (Model L-100). Box size 4.5” x 2-3/8” x 1-5/8”. This is a nice cheetah stun gun to have. It has a strong flashlight.